Masterpieces of Western art from the 16th century to the 20th are currently on display at the Powerlong Museum in Shanghai. 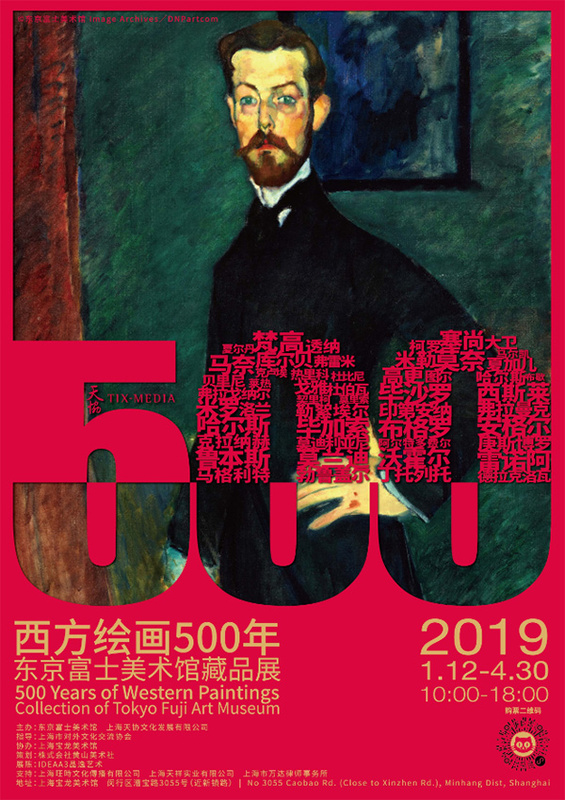 The exhibition, titled 500 Years of Western Paintings-Collection of Tokyo Fuji Art Museum, features 60 artworks by masters such as Pablo Picasso, Paul Cezanne and Edouard Manet. All the pieces were selected from the collection of the Tokyo Fuji Art Museum, which was founded in 1983 by Japanese philosopher Daisaku Ikeda. The exhibits at the China show have been arranged according to time periods or themes, from the Renaissance to Baroque, rococo, realism, impressionism, modernism and postmodernism. This is the exhibition's second appearance in the country, following its first stop at Tsinghua University's Art Museum in Beijing from October to December, which drew over 120,000 visitors. "The exhibition will promote cultural exchanges between China and Japan as a celebration of the 40th anniversary of the Sino-Japanese Treaty of Peace and Friendship signed in August 1978," Deng Xiaoxian, vice-president of the Shanghai International Cultural Association, says. Akira Gokita, director of the Tokyo Fuji Art Museum, says he hopes visitors can learn more about Western art and history through this exhibition. Art buffs can look forward to viewing Portrait of a Procurator by Giovanni Bellini and Portrait of Collector by Tintoretto, two significant works of the 16th century. Smoker by Georges de La Tour, a work from the 17th century, a golden age of art, is also on show. The piece is one of 40 original works in the world. Those fond of rococo-style paintings from the 18th century will get to view The Triumph of Venus by Francois Boucher, a key highlight of the exhibition, says Kenichi Hirano, curator of the Tokyo museum. Another highlight is the neoclassical masterpiece Bonaparte Crossing the Great St. Bernard that depicts Napoleon. Other celebrated works, including Dove by Picasso, Claude Monet's Water Lilies and Pierre-Auguste Renoir's collection, which illustrates feminine beauty, are also on show. The exhibition runs through April 30, though some artworks, including Promenade by Manet and Berthe Morisot's On the Terrace, will only be on display just until the end of March.